You will find nearly all of the RAL Classic, many Pantone and other industry standard colour matches included. Should a colour fall out of range of our standard 480 colours then a bespoke colour can always be created. Why 480 colours? Above all we wanted our Colour Box to be portable and easily shippable. 480 colours allowed classic colours to be represented for practicality but also left room for some more trend-led brighter hues to be inspiring. As such it can easily be taken to client meetings allowing for colour agreements to be reached on site; streamlining the colour selection process saving a lot of potential confusion and money. Designed and developed especially for Rug Couture, the impressive rigid clamshell box design, was hand made in the UK. Covered in tactile, yet durable, rayon Wicotex in timeless black set off by golden yellow Colourplan edging. 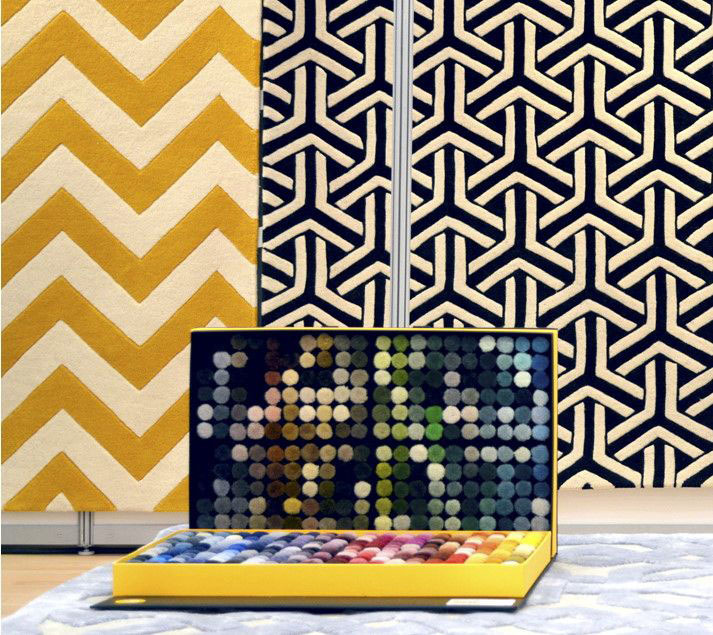 A stylish addition to any studio, the 480 Colour Box will impress your clients and will allow you to search for and instantly demonstrate colour matches from our standard 480 range of colours. 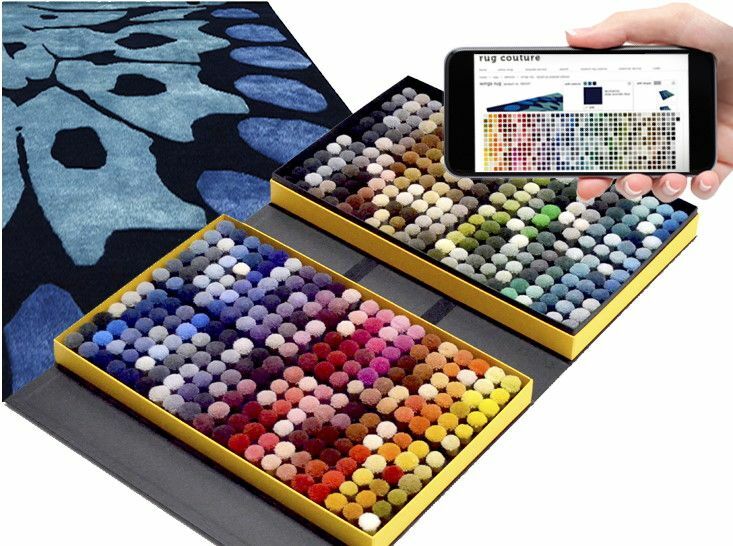 If at any point you need to share your colour choice(s) with colleagues or another supplier simply contact our Sample Service and as a Colour Box owner will be pleased to send up to 30 complimentary colour samples anywhere in the world for you. Receive advance notice and samples of new colours and additions to our material range before anyone else so you gain the opportunity to share these with your clients first giving you even more ways to create value and trade.